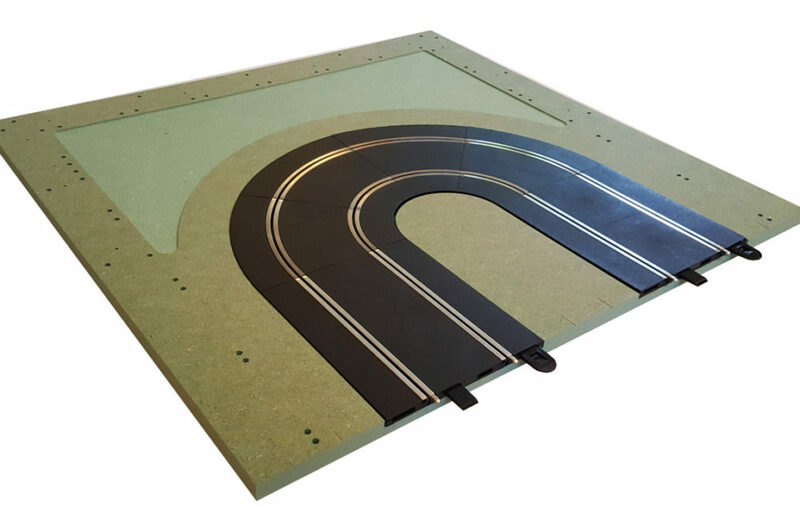 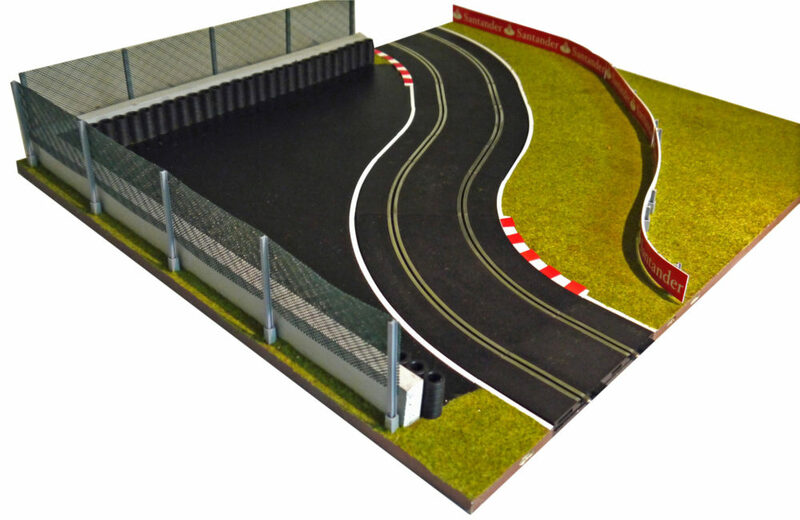 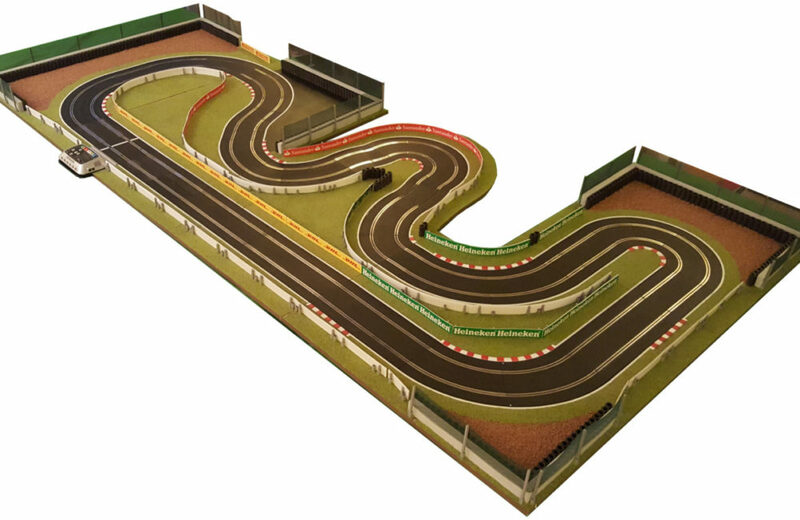 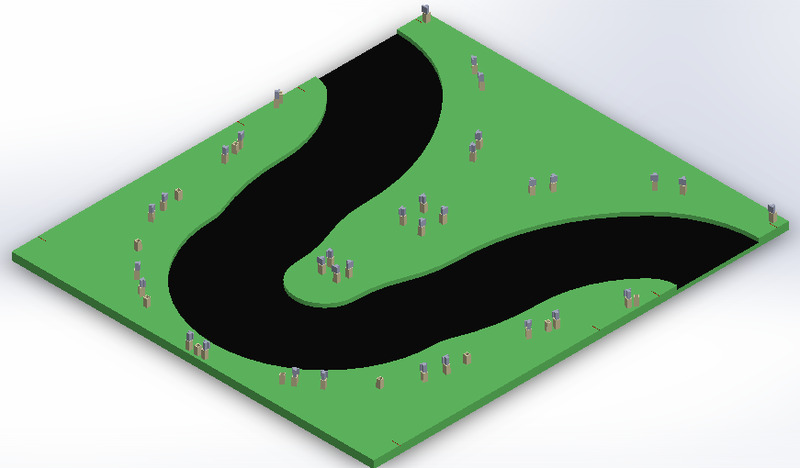 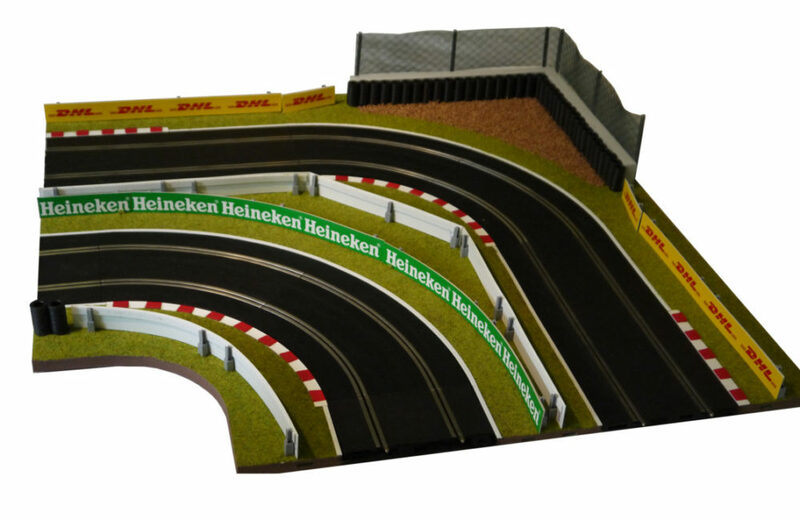 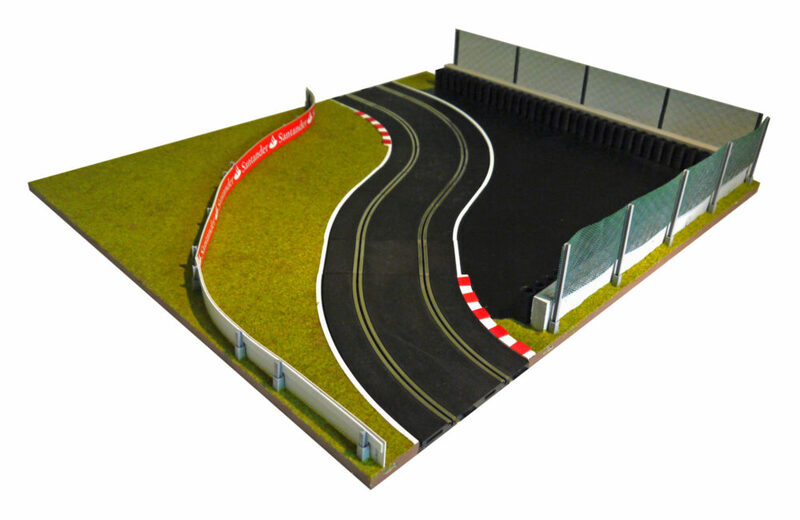 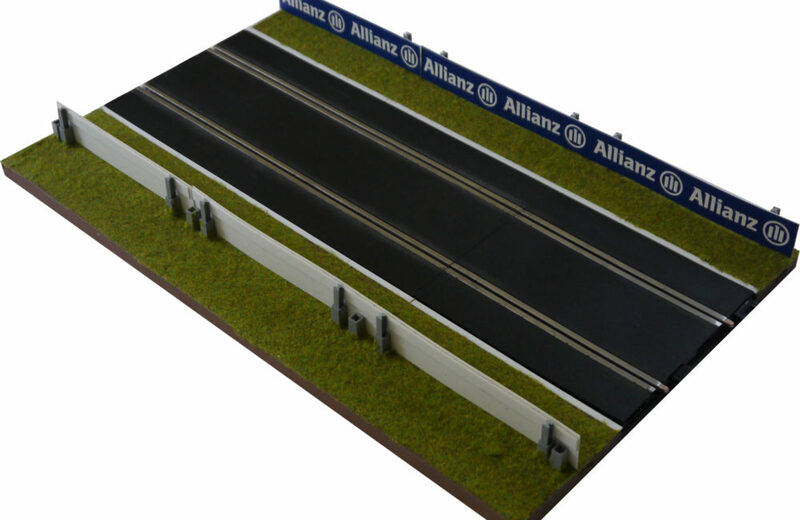 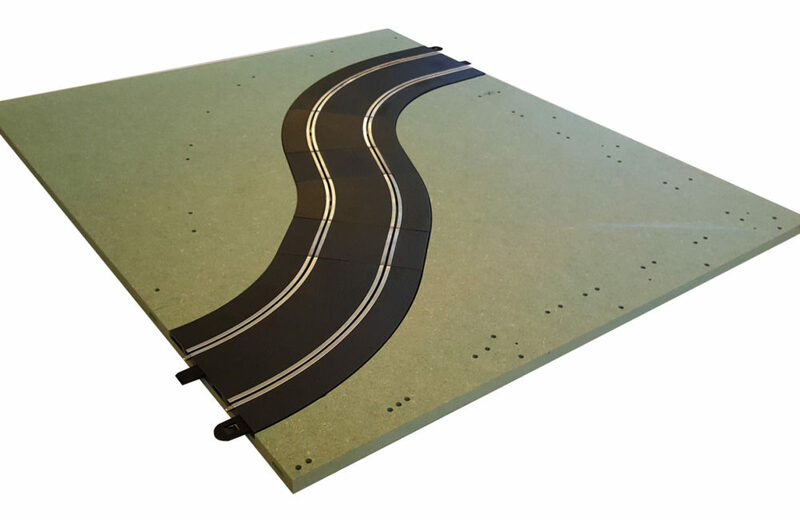 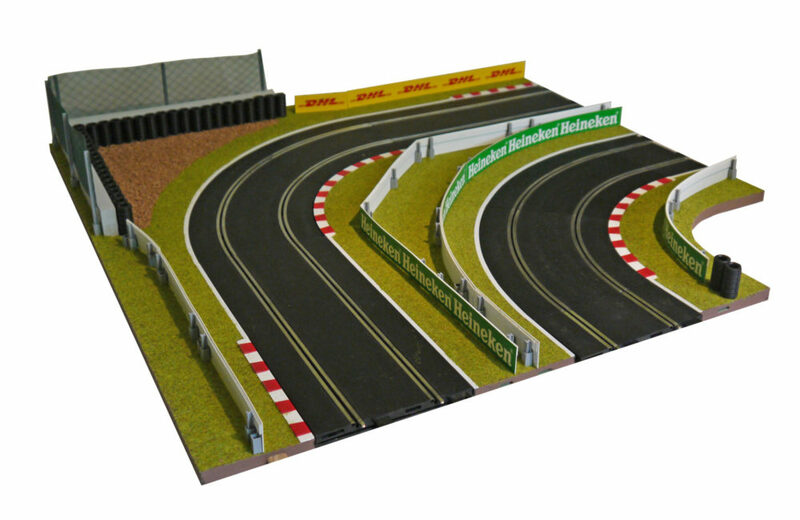 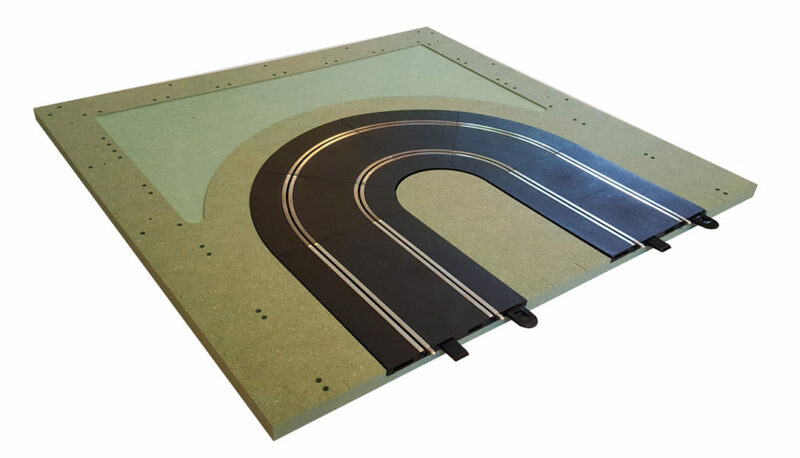 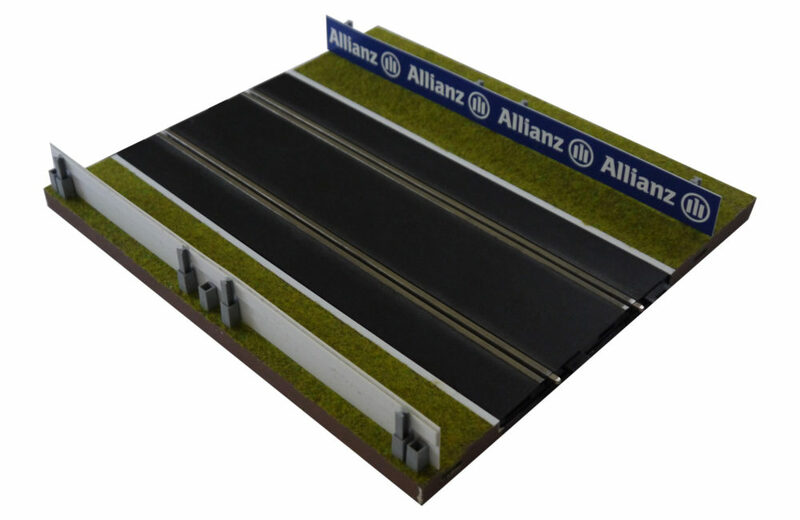 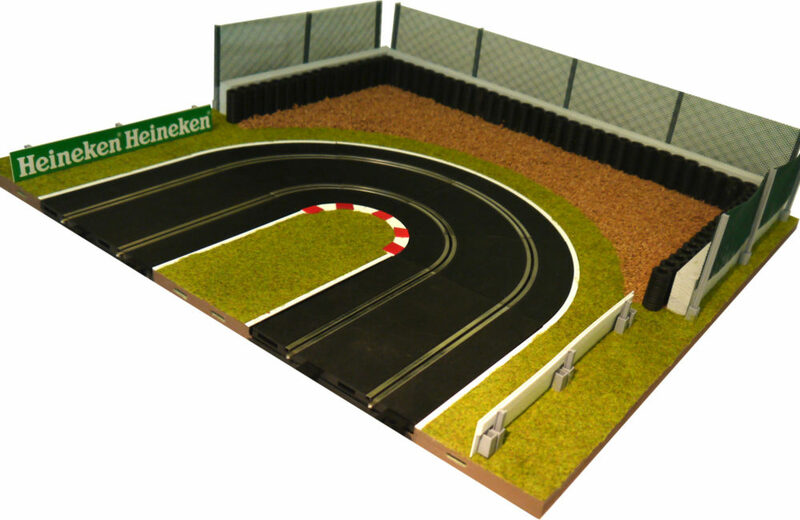 Called the ‘hairpin’ for obvious reasons, this panel is a 180º curve made of 4 Scalextric Radius 1 curves with a half straight on either side. 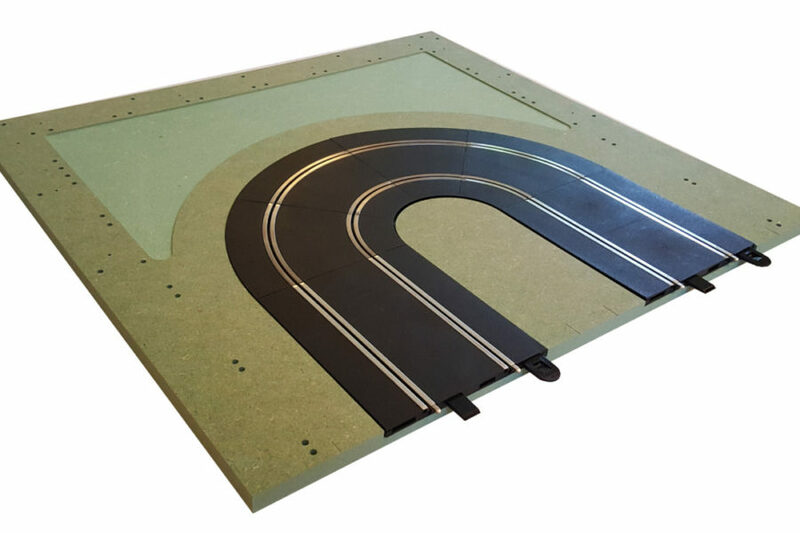 It closes one end of a circuit and can connect directly to both parts of the ‘L’ curve or can connect to straights and the ‘S’ or ‘U’ curves back to back. 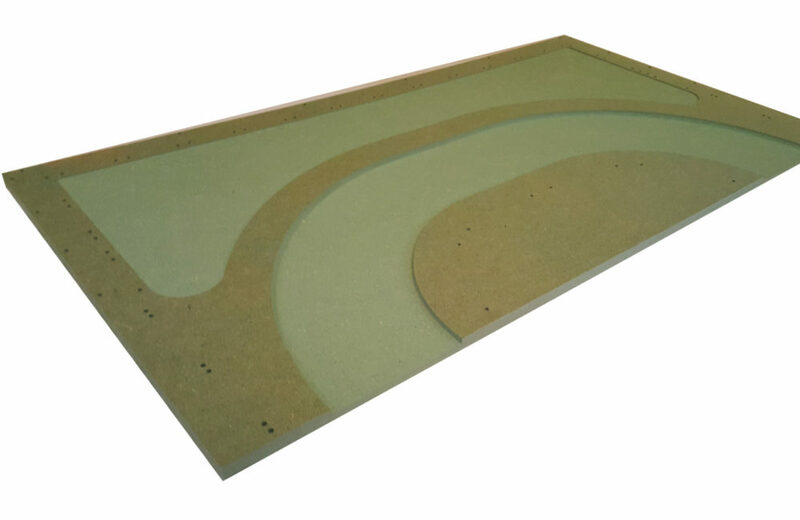 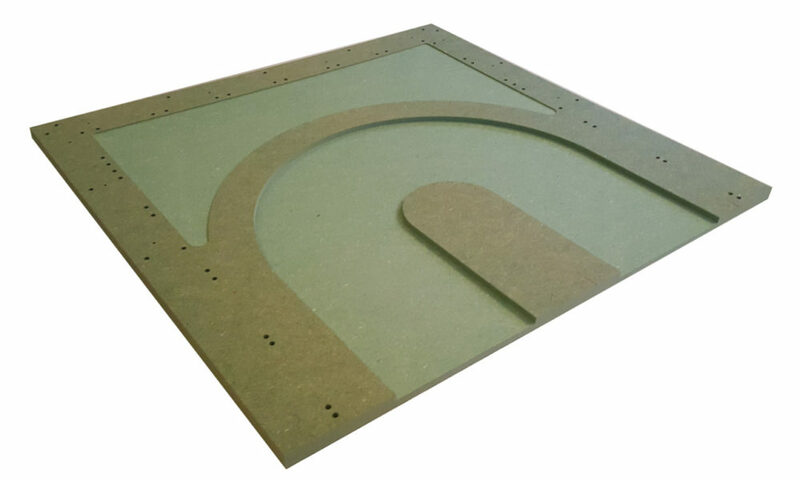 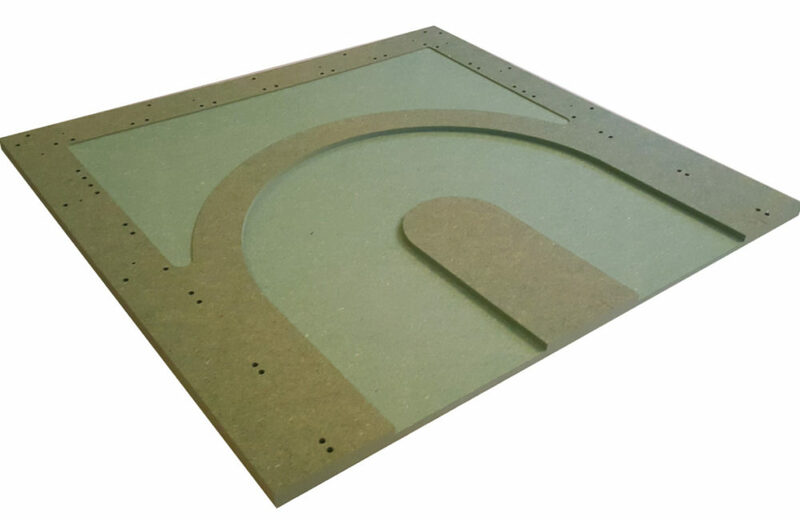 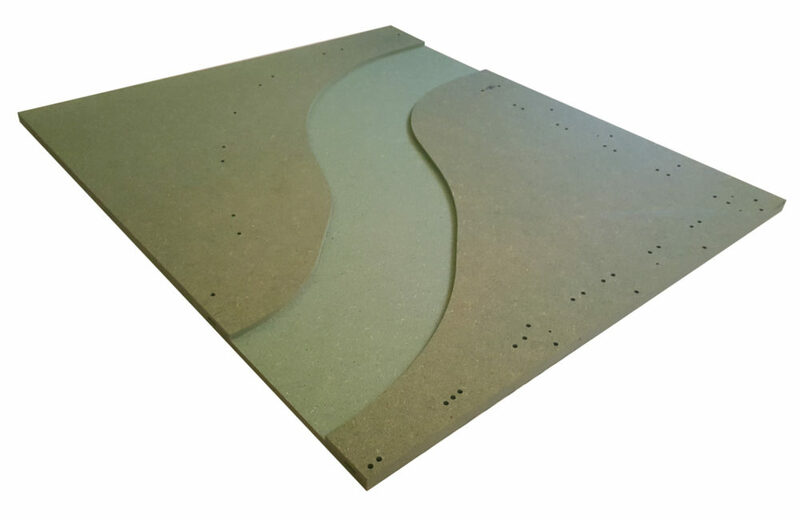 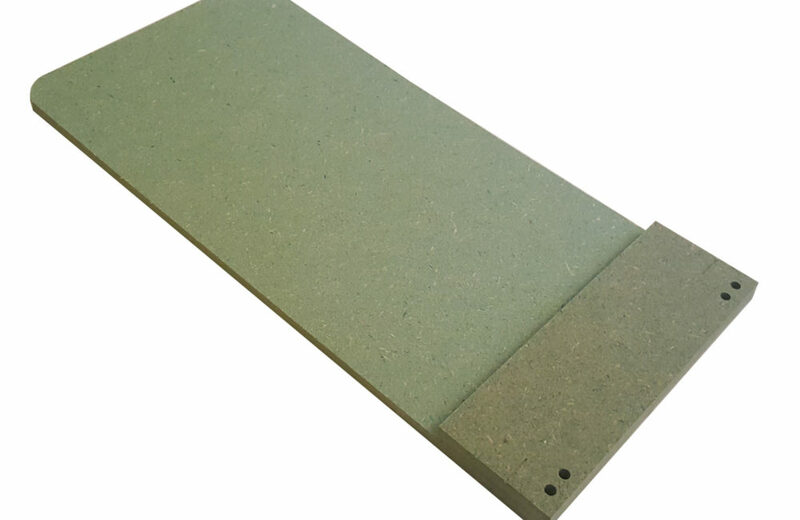 Precision cut from 15 mm Moisture resistant MDF, as well as the track channel, this panel has all the holes pre-drilled for fixing the ‘concrete’ wall, and adding the clips for tyre walls, fencing and advert boards. 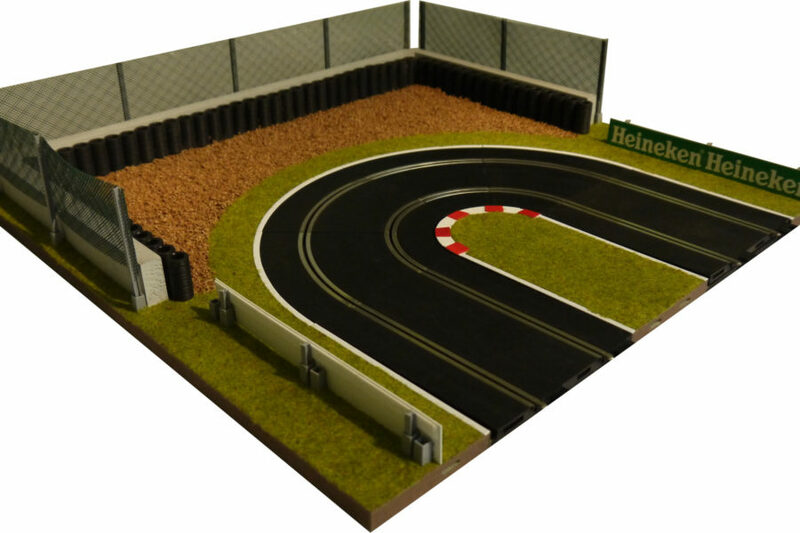 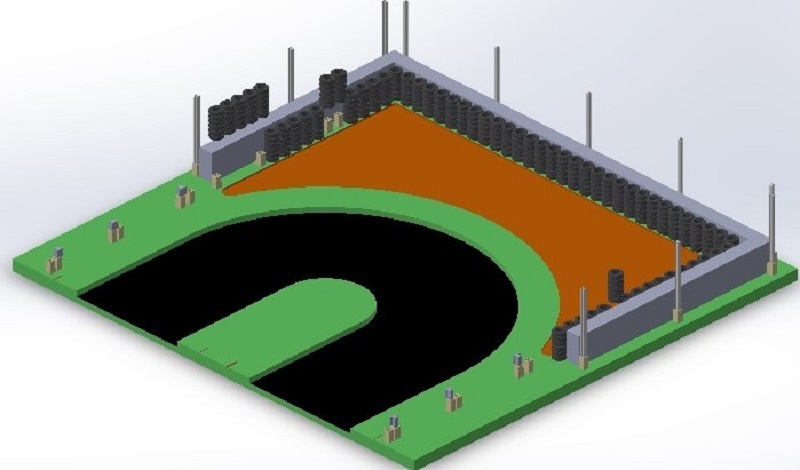 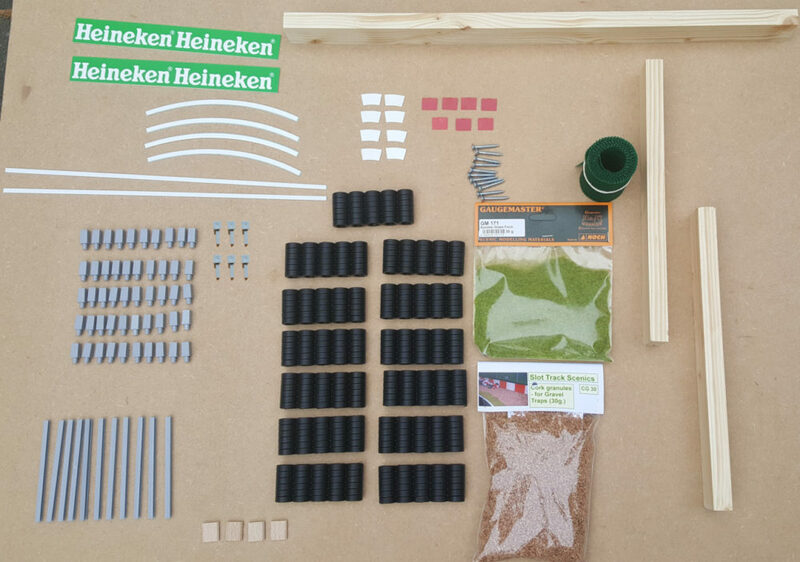 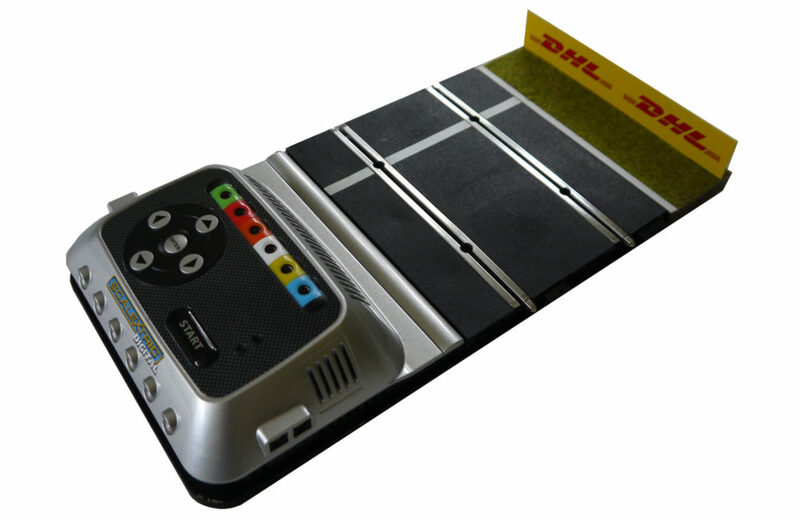 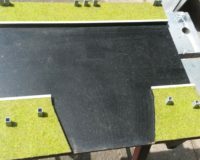 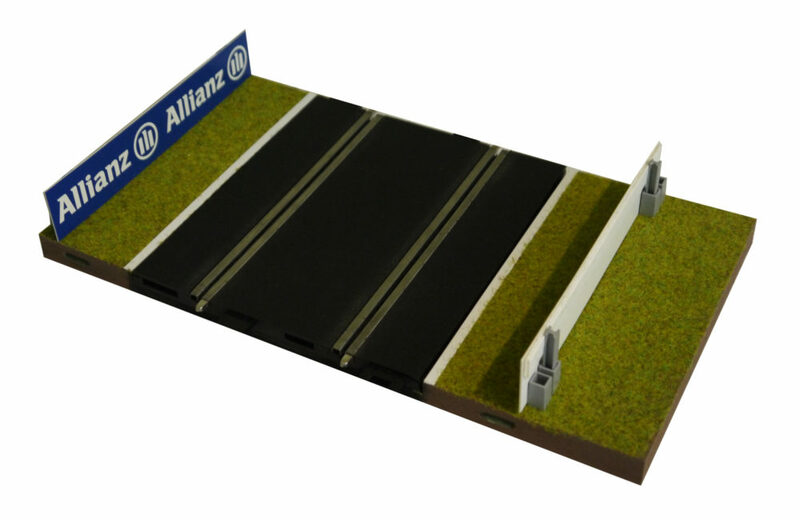 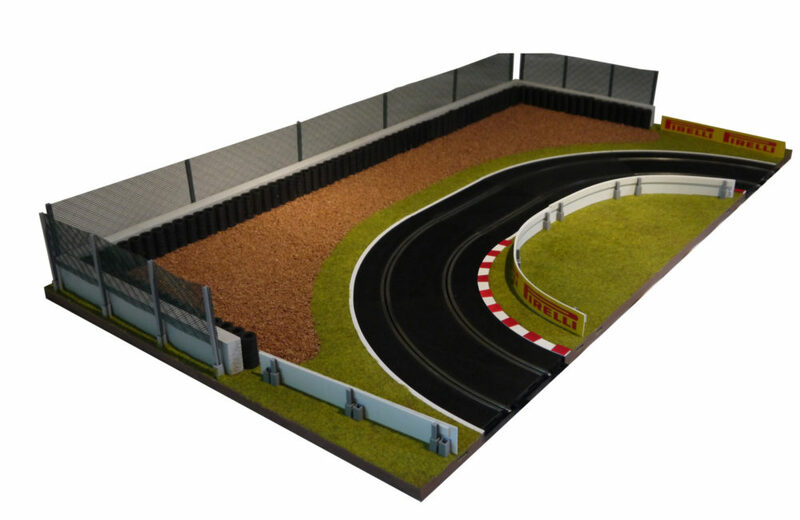 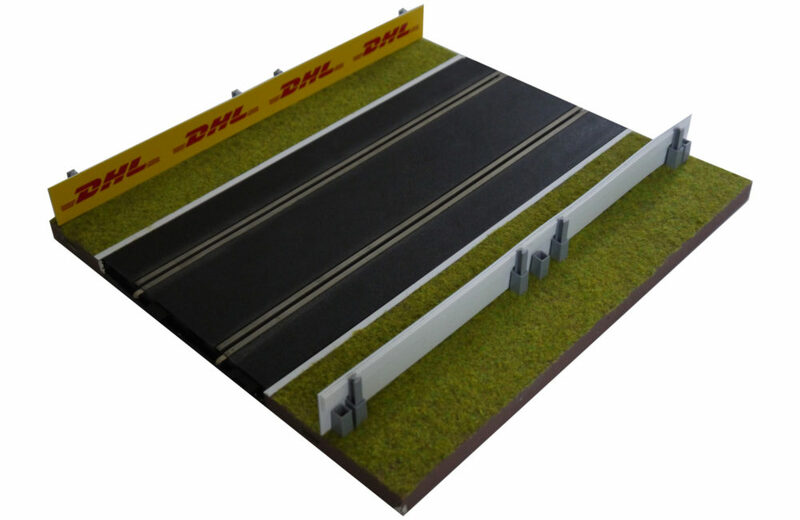 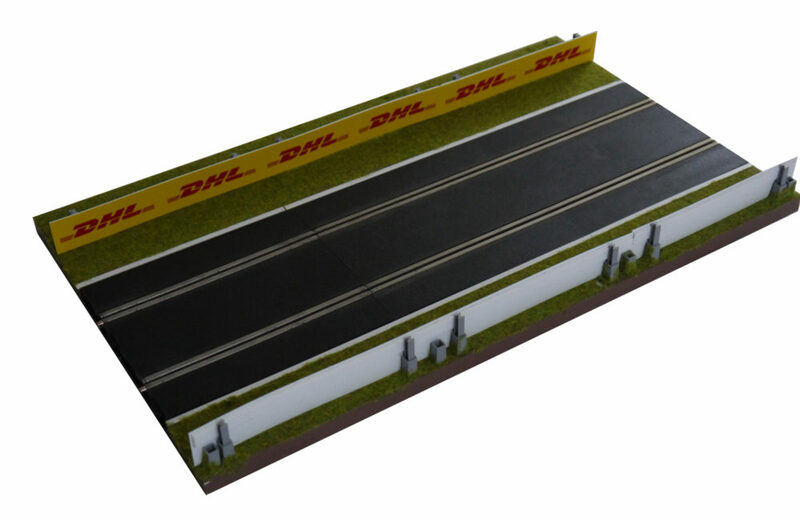 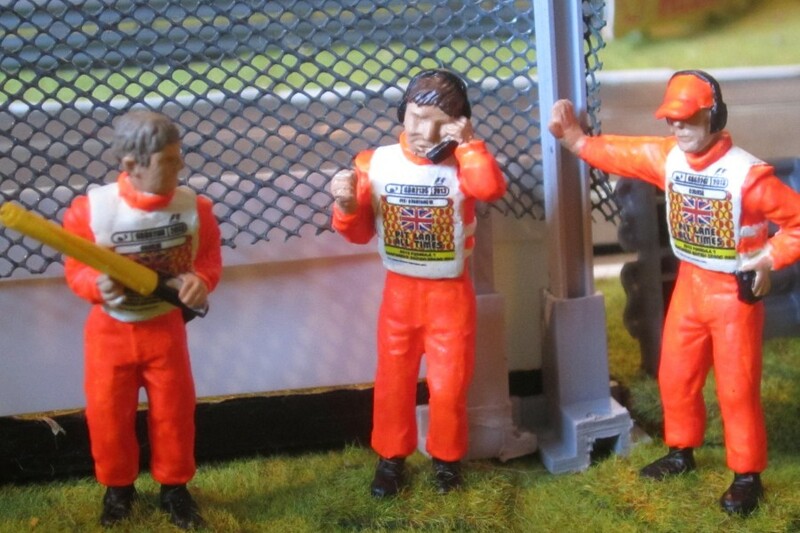 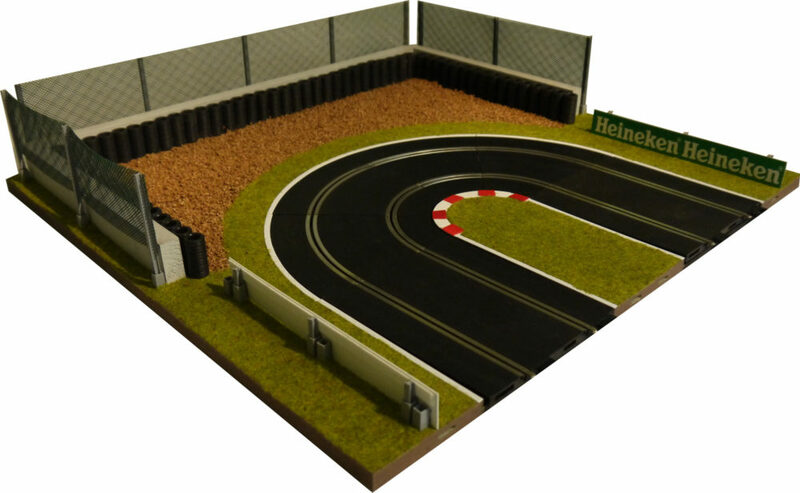 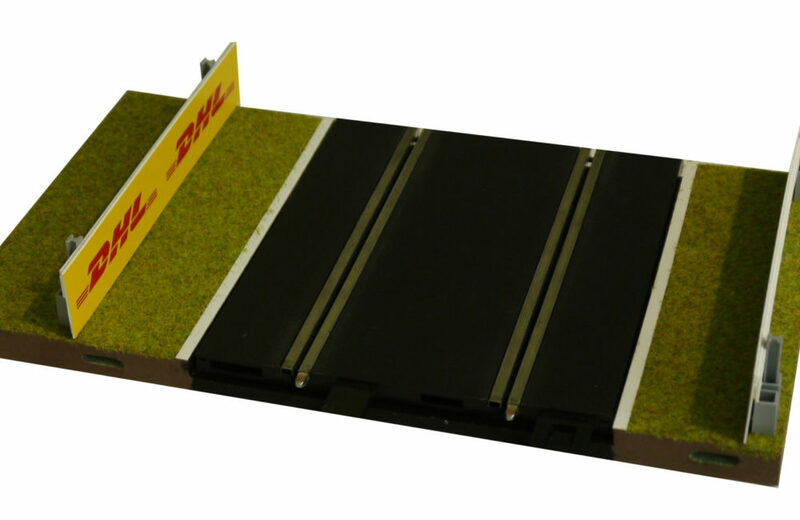 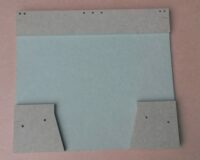 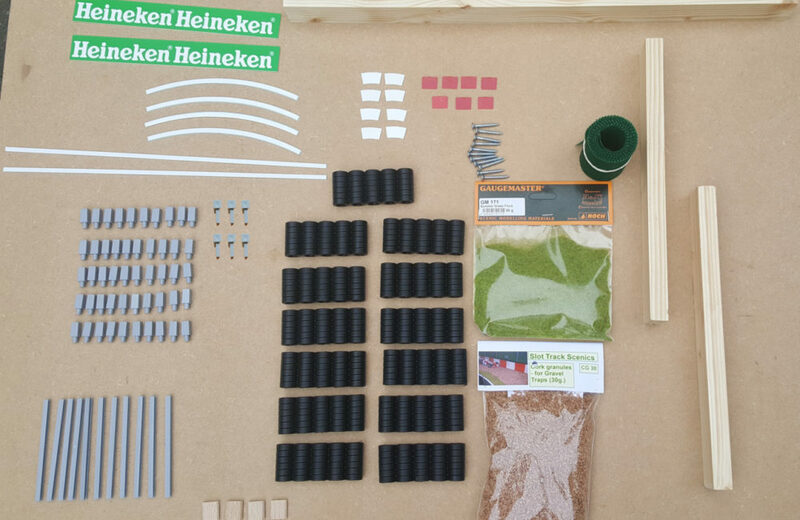 It also has a shallow indentation routed out for a ‘gravel’ trap and cork granules for gravel are included..
Like all the other panels you can buy it with or without all the scenic parts needed to create the panel as shown in the pictures, and also with the wood, screws, and the ‘dominos’ for connecting to other panels, as well as full instructions, including an exploded view diagram (see the Gallery picture) showing where all the parts need to go. Track not included. 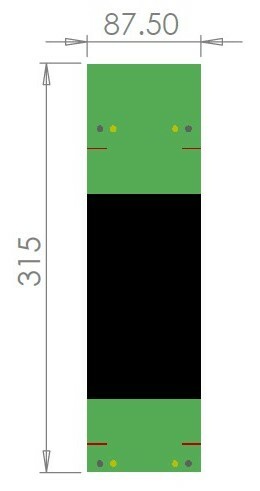 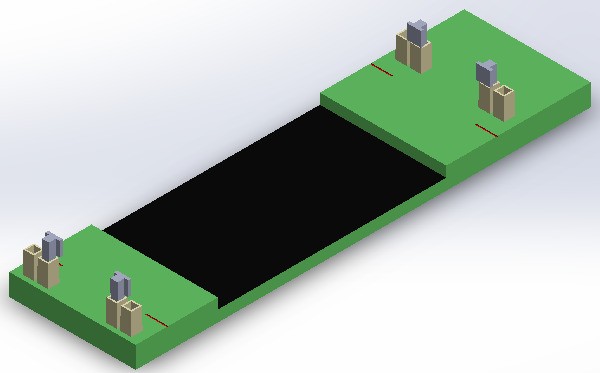 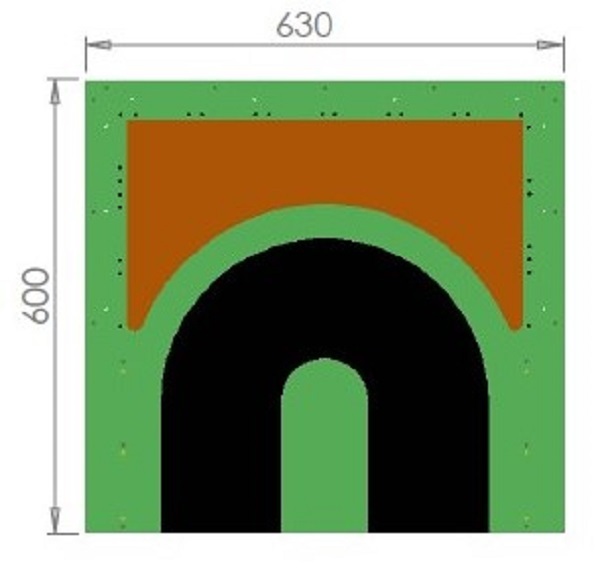 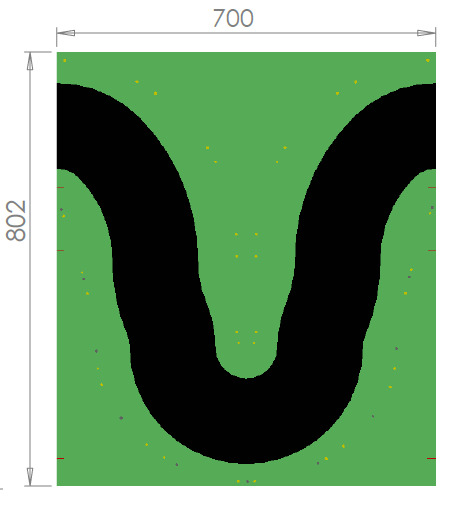 The panel is 630 mm wide x 600 mm deep, as shown in the Dimensions diagram.